Have you read our "fit IT pro" stories? Should you send that email right now? In this week's newsletter we play catch-up by sharing some of the feedback we've received from readers on various topics over the last few weeks. We also have a new Ask Our Readers question that someone needs urgent help with, and we've got links to some amazing stories of IT pros who have transformed themselves from "fat IT pros" to "fit IT pros" and if you're at all concerned about that "sitzfleisch" that's been growing day-in day-out as you sit in front of your computer then you'll want to read some of those articles. And we've got lots of other stuff to entertain and inform you in the midst of your daily IT grind, so enjoy! Yes, the best way for an IT nerd to sabotage a date is to try to write a poem. If you haven't already made the transition from being a "fat IT pro" to a "fit IT pro" then reading the above stories might motivate you to begin such a journey. And if you've already regained your health by losing significant weight and gaining more muscle, these stories will hopefully inspire you to stay on track with your workouts and diet. For anyone not serving customers who are citizens of the EU you might have missed the significance for us of the new GDPR regulations. For those of us dealing with confidential or sensitive information (like what people earn, their tax arrangements or their accounts) using email as a way of doing business and conversing with clients is no longer an allowable option. Admittedly, it's never been a secure option for this sort of thing, but the clients like it, and are complaining bitterly that we're ignoring them by trying to send queries and requests (as well as accounts and tax returns) by a secure Portal or encrypted attachments to email. We really need a way of chatting with clients, like email, or SMS, or 'WhatsApp'. But email is insecure, and SMS and WhatsApp don't 'capture' the conversation in a way that we can file it into our DMS. We have to keep records of all such 'conversations'. And most of the senior people and the clients want to do everything on their phone, but have a full trail of it somewhere else where they can get someone more junior to file it later. Encrypted email is pretty horrible, never works across all devices, and there is no point filing it into a DMS as when you need it in a couple of years time the encryption key won't be available. Skype for Business almost does it, it has an IM system that is automatically recorded into our Outlook Mailboxes from where we can file it, but if the message isn't read quickly enough it re-sends it as an email, so that counts it out. There is loads of 'collaboration' software out there, but none of it seems to let all your clients join in, just your colleagues. Is there anything like email, or like any IM system, that you can use to chat to anyone, across devices, not worry about passwords once you've logged in as it is end to end encrypted, but easy/possible to file it away when finished? Hi Mitch, just a few thoughts on network time keeping. I have run into issues in the past where users could not login due to their workstation not having the correct time so this is more important than ever. However... Back in the late 80s I worked on a government network that used Banyan Vines as their backend networking Operating system (there's a blast from the past!) and one of the things that Banyan did reasonably well was maintaining the workstation and server times. The problem was the time on the server was used as the source, with no option to point anywhere other than NIST to get accurate time fixes. When we went to install a Server at the local Observatory, we were told that they would not be networking their telescopes as they already had a very accurate time source of their own, and we could not use the time source to sync up the time on the server unfortunately. As you can understand, timekeeping is very important when measuring the movement of stars. 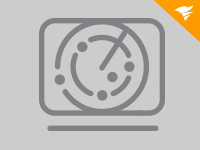 Most routers and switches have a way of setting time based on ntp servers ( easy way is to use ntp.pool.org) and this helps with maintaining accurate time. Windows servers can then be made to use these as the source of time. This way the ntp traffic is kept to a minimum across the WAN and only 1 or 2 devices need to have NTP access to the Internet. Personally I'm not fussed but I have had some users that freak when their desk phone has a different time to their pc and to their mobile. I suppose it is a new version of the Clock Watcher. Our Factoid of the Week "In search of the perfect sound" from Issue #1184 continues to stir something among a segment of our readership. In that factoid I mentioned that digital downloads of music are now being outsold by CDs and vinyl, and then I asked: Vinyl? Who actually buys vinyl records nowadays? For me, it's mostly nostalgic, as there's a wide swath of the population that remembers the record-buying experience. Going to the record store, flipping through albums, putting the headphones on to listen to the latest release by the hot artist. Naturally, the days of making a music purchase via this kind of experience are (mostly) lost on the iTunes and Spotify generations. The way I see it, even though we try to turn everything into a more productive, convenient experience, we're also living in a time when many people have the option of spending their discretionary time on diversions, and the enjoyable music-buying experience of yesteryear qualifies as a good one. And Jeffrey, another loyal reader of our newsletter, reports that "I still have an old Hitachi turntable in my closet. I presume it still works, but I have not had it out of the box in at least 20 years. I think I still have a few records to go with it, including a couple of The Doors albums, and Steve Martin's "The Steve Martin Brothers" album -- the front side is comedy, the back side is banjo playing." Hi Mitch, for several years I was the (crazy) flying Dutchman flying around in Europe (working on EHQ) to solve issues. (Now I go to my customers with the bike as they are very close to my hometown.) At that time remote management was not so widely used, and sometimes you have to see things to understand them. Same story as this: "The most egregious example we came up with was one small business some years ago when they upgraded to a gigabit Ethernet switch and employees were wondering why their Internet access was so slow and it turned out they still had a 10BaseT hub (!) as the backbone connection between their two servers and router." Took me 10 minutes to discover and the local IT felt very ashamed he overlooked that critical thing! How easy it is to overlook potential bottlenecks when you upgrade an IT infrastructure. Moving on, a few weeks ago in Issue #1185 China, Australia, Germany I went off-topic and ranted about dishwashers and toasters and how they seem to be mostly junk nowadays. In the article I blamed China (or maybe Western capitalism, or perhaps more honestly that fundamental flaw that all human beings seem to have in some degree--greed) as the cause of much of our modern world's technology sadness, and then I asked if our readers in Australia (whose economy depends greatly on the health of China's own economy) and Germany (where the best appliances in the world are made IMO) how their own lives have been affected by the China "manufacturing miracle" or if they had any other thoughts on the subject that they wanted to express. A few readers responded immediately and we included their comments in the Mailbag section of Issue #1186 Privacy Briefs. But since then more readers have chimed in on the topic so I'm sharing some of their thoughts here. Speaking personally, I work for a company that very much relies on mining (we provide scaffolding and rope access services to mining companies) and much of that raw product is shipped to China. If the Chinese economy were to fall in a hole, Australia would be sucked in as well. We used to have a saying in Australia that, "If the US markets sneeze, the Australian market catches the flu" but this could easily be translated to "If China twitches, Australia breaks a leg". As an IT pro, I have worked for a company that was reliant on continuing contracts with an Oil and gas supplier, and when that dried up, the company closed the doors. We hope that China doesn't twitch or sneeze in the coming years. G'day Mitch. No impact for my business re China, though my area (health) is not really affected by anything. Hope you are doing well. Hi Mitch, my company has already an office in Hong Kong for buying goods in China and some inspection centers for QC in China. Basically, we order goods made to our specification and check them before shipment to Germany. Until two years ago I was responsible for the HK IT staff -- and they told me some interesting stories, e.g. that a lot of mainland Chinese come to Hong Kong for shopping. In China they can't be sure that the store of a premium brand (Louis Vuitton, etc.) is the real thing because even the shops get faked (and sell for the original premium price) -- in Hong Kong they can. Or that as soon as they activated HTTPS on the management interfaces of the IC firewalls the Internet connection failed -- until they turned it off again. Our QC staff travelling from HK to China uses 4G connections with HK providers in the meantime so they are able to use a VPN client -- but we don't know how long that will last. So China has an impact on out IT -- but not related to economy or poor products. Contrary -- we are using Lenovo products a lot. They are Chinese and have a high quality. I agree about the quality of Lenovo products. In fact we just replaced three of our older HP PCs with new Lenovo systems and our users are definitely happy. I live in Switzerland, and here this type of washing machine can only be found in vintage museums. I am 64 years old, and I remember my grandmother had such a thing in her laundry. She passed away, when I was 10 years old, and after that I never saw one in productive use anymore. Our washing machine is from 1996 and still works flawlessly, without stinking and smoldering. Of course you should clean the drain filter often. But we will replace it for economical reasons (less power and water consumption). The new one will not be a Samsung (! ), which is known for cheap price and low quality. The best machines are from Miele or V-Zug (a Swiss manufacturer). I am sure the new one will last many years as well. Maybe we who live in North America simply don't like getting down on our hands and knees to fill or empty our washing machines? My dad took the whole family to see 2001 at the three-projector Cinerama in Seattle in 1968. We still remember that experience to this day. It brings fond memories of my father who was an astronomy buff. We were the only family that had the Milky Way galaxy along with Halley's comet, big and little dipper painted in fluorescence on our ceiling in the living room. He would give presentations to groups of cub scouts and boy scouts on astronomy which included the big bang theory (I would blow up a painted fluorescent balloon and at a certain point he would pop it to illustrate the expanding universe). People to this day come up to me and tell me they had gone to our house for one of my dad's shows. He would take the family and anyone else he could drag up to Hurricane Ridge outside Port Angeles, WA to watch the Perseid meteor shower. People thought we were crazy to get up in the middle of the night and drive up to the Ridge to watch some meteors. Now the Ridge is packed with people. He would listen to the album The Planets along with his other favorite Yma Sumac (all of which I still listen to). Beautiful story, thanks Steve. Have any other readers ever been to a "sky show" like this? Share your stories by emailing me at [email protected]. Actually in my university days I was the Lab Assistant for an Astronomy professor for several years so I got a lot of "sky time" with different types of telescopes. In fact I was originally planning on getting a Ph.D. in Astrophysics until my life changed direction. We're retiring this section of our newsletter and replacing it with something new next week, so stay tuned! Factoid of the Week - What does it feel like to be stung by a bee? The more time a person spends in education the more likely they are to develop short-sightedness, reveals a study led by Cardiff University and the University of Bristol. Hmm, could that be true? Although I needed glasses starting in Grade 8 because teachers noticed my eyes were squinting when I tried to see the blackboard, I don't think it was because of being in school because I was bored out of my skull in class and spent most of my time daydreaming. I suspect my own nearsightedness developed because I was a ravenous reader and read late at night for hours in bed with inadequate lighting. What about you? Hi Mitch, well all I can do is go from my own example, but I only had to start wearing reading glasses when I reached 50. Up until that time, I had 20/20 vision, and in fact could read things at long distances that most people saw as a blur. However with increased time in front of monitors, I was getting headaches and unable to focus on smaller type. P.S. Why does Microsoft insist on using the smallest type they can find to put the serial numbers on their Surface devices? Makes it difficult for us older types to ensure that we have the correct unit. Or is it because they think their devices are only used by the young and hip who do not need glasses? Fact: "Hi Mitch. You want a factoid? I'll give you a piece of useless information that will blow your mind. There are more Australian bees in Canada than there are Canadian people in the world. Australia is the last continent to have bees unaffected by a mite that is decimating hives around the world. Canada is importing clean Australian bees to restock areas infested by the mites. In recent years 45 million bees have been imported. Population of Canada is 36 million. I love information that is interesting and useless at the same time." Altaro VM Backup removes the complexities of backing up Hyper-V & VMware. Easy to use, sets up within just 15 mins & comes with the best deduplication in the industry! Download your FOREVER FREE copy! Google is rolling out “the next phase of the Google Assistant,” with improvements that make it more naturally conversational, including the voice of singer John Legend. Data integration tools are promoting innovation, efficiency, and decision-making. Data officers who don’t use these tools are putting their companies at a competitive disadvantage. Looking to move your IT operations to an external IT vendor? If that vendor supports remote work strategies, there are five questions you must ask first. Here’s an all-too-common situation. You suddenly find your Exchange Services disabled. Get them up and running again quickly with PowerShell. Including updates on JMP automation, extended servicing, Workspace One Intelligence, AWS, Azure, BEAT, GPU options, and universal licenses. Organizations looking to get started with Kubernetes might begin by considering VMware's Pivotal Container Service, but companies that don't use vSphere must find another option. The fancy footwork of Argentina's favourite dance meshes well with that of the world’s most beloved international sport. A dog scores with a header during a neighborhood soccer game in Buenos Aires, Argentina and then celebrates like he just won the World Cup. John Cleese rants about 'soccer vs football.' Now don't get offended, it is Monty Python's John Cleese after all!